The company is in receipt of a notice u/s 131 of the Income Tax Act, 1961, from the Income-tax department on February 7 seeking information/evidence on certain aspects of the books of accounts. Dewan Housing Finance Corporation (DHFL) in its filing to the exchanges on Monday clarified that the company has received a notice from the Income Tax department; however, the notice does not refer to any suspicious transactions. "The company is in receipt of a notice u/s 131 of the Income Tax Act, 1961 from the Income-tax department (Investigation Wing) on February 7, 2019, seeking information/evidence on certain aspects of the books of accounts," the company stated in a press note to the exchanges. The company informed that it is in process of collating the requisite details and would be submitting before the regulatory department in due course of time. "Kindly note that the notice does not refer to any suspicious transactions," the company clarified. Shares of the company tanked 6% earlier in the day after a CNBC-TV18 report stated that the income tax department sent a notice to DHFL under Section 131 of I-T Act. The report further added that the company has been asked to furnish books of accounts. 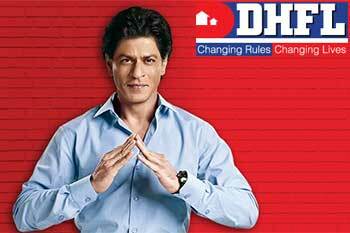 It also claimed that the Mumbai Division of the IT department has asked DHFL to explain suspicious transaction. Dewan Housing Finance Corporation Ltd's share price is currently at Rs104.80, down by Rs5.2 or 4.73%, from its previous close of Rs110 on the BSE. The scrip opened at Rs110.80 and has touched a high and low of Rs111 and Rs102.70, respectively. So far, 2,01,85,441 (NSE+BSE) shares have been traded on the counter. The current market cap of the company is Rs3,414.39cr.